One warm summer evening in the setting Texas sun, Margarita came over to our yard for a Labor Day block party. As we loaded our plates with classic cookout food â€“ barbeque brisket, baked beans, and potato chips â€“ she began talking about the foundation of the United States. Margarita rattled off fact after fact about our earliest presidents, sharing details about the Declaration of Independence and the symbolism of the American flag. A dark-haired mother of two, she lived across the cul-de-sac from my suburban Dallas home with her husband, Carlos Sr., and her sons, Carlos Jr. and Pablo. Four years earlier, when I moved in at age eight, Pablo designated himself as my guide to the neighborhood. Now his mom was my guide to American history. She clearly knew more about American history than my parents did. If knowledge of our nation was any sign of commitment to our country, no neighbor could challenge her allegiance. And yet she was not an American; not yet a U.S. citizen. That fall, Margarita studied for the civics test that she would take in early 2003 in order to become a citizen. She recalls the day of her test as the culmination of not only months of studying American history, but also years of improving her second language. More than just knowing the facts, she needed to be able to communicate them. She was born and raised in Costa Rica. Margarita and Carlos Sr. married there after both attended medical school. 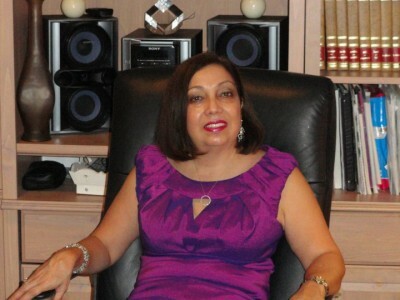 Margarita became a doctor of physical medicine and rehabilitation while Carlos Sr. became an endocrinologist. When Carlos Sr. won a scholarship to the University of Texas – Southwestern Medical School, they saw it as a chance to give their child a better life in America. They left behind their medical careers in 1988 and moved to North Texas. â€œI became a full-time mother,â€ says Margarita, describing when she was unable to work because of limitations on Carlos Sr.â€™s visa. Soon after arriving, she became pregnant with her second son. Pablo was born in 1990. When their student visa expired after three years, Margarita and her family returned to Costa Rica. Two years later, they were back in Texas with green cards. Carlos Sr. earned his physicianâ€™s license again in order to practice medicine in America, but Margarita wanted to learn something new. And so she became a chiropractor. Margarita painted the walls of her new home with lively colors brighter than the beige I was accustomed to in myÂ home. She cooks with bold spices and exotic fruits for huge feasts, including when she hosted a former president of Costa Rica. Sitting in her kitchen, she thinks back to her process of becoming a citizen.